Amplify Civic Advisors designs and builds Pay for Success Projects to make the public and social sectors more effective, efficient, and equitable. We are a nonprofit advisory firm that works with governments, nonprofits, impact investors, and philanthropies. We focus on Social Impact Bonds and Social Impact Guarantees, so governments can pursue innovative projects and policies that will benefit those most in need, without the financial risk of failure. We focus on Continual Adaptive Improvement to deeply and firmly ingrain impactful management techniques in both government and nonprofit cultures. 'Pay for Success' is an umbrella term that describes many public-private partnerships, each with different operating, financing, and evaluating methods. The common element of all Pay for Success projects is a focus on paying for outcomes. 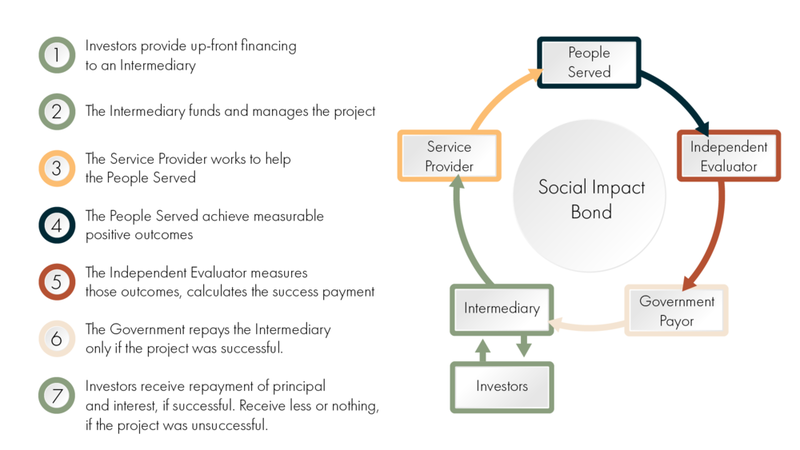 The most common Pay for Success structures are the Social Impact Bond and the Social Impact Guarantee. Both of these structures ensure that Government pays only for projects that successfully achieve their intended outcomes. Because Pay for Success ensures that Governments pay only for projects that successfully achieve their intended outcomes, Governments are free to pursue innovative projects that otherwise may have been too risky or have too many unknowns. Governments are able to test what works best. By entering into a Pay for Success contract, Service Providers are able to focus on what really matters: long term social outcomes, not the cost of inputs or staff nor the justifications for a certain overhead rate. Getting paid for producing outcomes means aligning mission and funding. When Governments and Service Providers work together to pay for outcomes, the social and public sectors become better at producing them. Pay for Success can make the public and social sectors more effective, efficient, and equitable.